Microsoft is reestablishing their plans to make browser technology a priority by announcing the new and improved Edge browser that could, someday, give Chrome a run for its money. Between Safari, Firefox, Opera, Chrome, and yes, even Internet Explorer, the battle for browser supremacy is a decidedly crowded one. Sure, Chrome is four times more popular than the others, but that doesn’t make the competition any less daunting for ambitious newcomers. Edge is far from a newcomer though. Having launched in 2015 to paltry popularity, mostly attributed to their unimpressive EdgeHTML software, their proprietary software that simply couldn’t compete with the likes of Chrome. But hey, if you can’t beat ’em, join ’em. 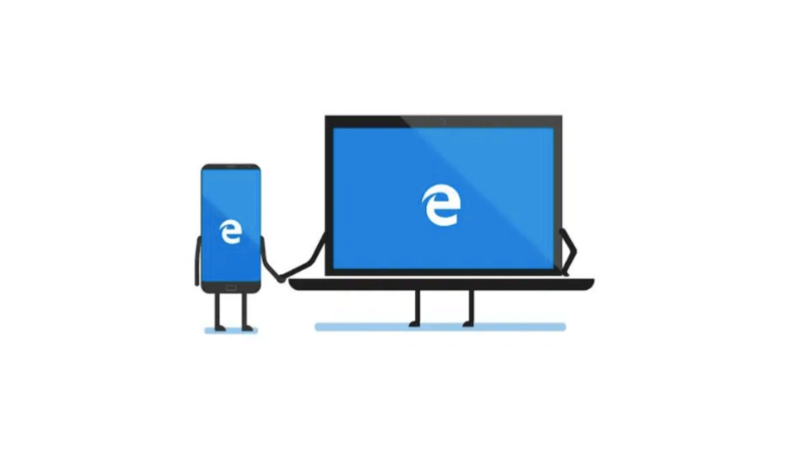 The primary change in the new Microsoft Edge browser is that they’ll be running the whole thing on Chromium, the Google-run open-source project that fuels their notably popular search engine. By using Google software, Microsoft is giving their search engine the foundation it needs to build out more unique features down the road. At least, that’s the plan. “In these first builds, we are very much focused on the fundamentals and have not yet included a wide range of feature and language support that will come later. You’ll start to see differences from the current Microsoft Edge including subtle design finishes, support for a broader selection of extensions, and the ability to manage your sign-in profile.” – Joe Belfiore, corporate vice president for Windows, in a Microsoft blog post. Suffice to say, Edge won’t be much different from Chrome until all testing stages are complete, so checking it out for yourself would be purely supportive at this point. But hey, if you have to be a first adopter, we certainly aren’t going to stop you. As mentioned above, Chromium is the open-source project from Google that keeps their popular search engine running swiftly and smoothly. In addition to Chrome, there are a number of other browsers that run on Chromium, including Opera, Samsung Internet, Brave, and Vivaldi. From universal compatibility to frequent updates, Chromium provides these browsers with a strong, basic structure on which to build unique browsers, which alleviates the need for massive software teams that drain resources. In so many words, Chromium is the browser starter pack for companies that are smaller and less impressive (software-wise) than Google. While Microsoft once ruled the day with Internet Explorer, Firefox and Chrome made quick work of the out-of-date browser more than a decade ago. Now, even in the dramatically lopsided browser battles, Microsoft has been miles behind most for a long time. Their unpopular EdgeHTML software simply never caught on, and they haven’t made much of an effort to assert themselves. Tethering Edge to Chromium, however, is almost certainly the way to go. Rather than burden themselves with the nuts and bolts of search engine software, they’re focusing on the nitty gritty details that make a search engine popular: unique features, seamless add-ons, and, of course, design. The Seattle-based tech giant has seen their fair share of success across the tech landscape, but browsers is another beast that could require some serious attention to details. However, if Microsoft is half as serious about launching a popular search engine as Google is about entering the gaming industry, the browser wars could get a lot more competitive. How Can I Get the New Browser? If you’re interested in getting in on the ground floor of this barebones browser right now, you can! These first tests were released just yesterday, and you can get access to them by downloading the software for Windows 10. You’ll even be able to check out multiple versions of the Chromium-based Edge side-by-side to get an inside look at how this browser could look in the future. Tired of using Google for all your internet searches? Concerned about how they're using your data? We explain the Google search alternatives you can use.